The current state of our environment is a great cause for concern. Christians should be aware of their moral duty to protect this world we live in. The way international, a non-denominational Christian ministry, encourages believers to conserve the natural resources we are so blessed to have. Christians have a unique calling to be stewards of the earth. They tend to it while being rooted earth itself. Humans benefit from the various plants and animals God placed here for us. We should not neglect these resources but nurture and cultivate them to prosper to the glory of the creator. Stewardship of the earth goes way back in Biblical history. Genesis talks of mankind being created in the image of God and commanded to practice stewardship over the earth. God further speaks of the beneficial nature of plants and animals to humans. Christians have a moral duty to protect natural resources. Humankind’s sinfulness has marred God’s creation. Our abuse of the beautiful world God created and pronounced as good is leading to global change. If these trends are left unchecked, they will lead to global economic loss and widespread suffering and death. As Christians, our response to the global environmental crisis is a test of our obedience to God and our neighbors. A lukewarm opinion from Christians towards addressing environmental matters has only emerged in the last century. There is a long history of Christian engagement with the environment. From a spiritual perspective, Christians should be leading the environmental agenda. The very existence of the universe is a result of God’s creation. Religious studies are seeing the emergence of a new interdisciplinary subfield: religion and environmentalism. Religion as a primary source of values in all cultures is implicated in the decisions humans make regarding the environment. Courses like Religion and Ecology analyze how religious traditions are used to understand and interact with the environment and environmental issues. They challenge current environmentally destructive views and actions and discuss the how religious views more environmentally responsible outlooks and activities. From a Christian perspective, humans are seen as God’s stewards. They are in fellowship with other creatures, embedded in the environment, yet given the task of tending it. Ecotourism encourages the conservation of the environment, the sustaining of the well-being of natives and interpretation and education while traveling to different locations around the world. It unifies conservation, community and sustainable travel. The principles of ecotourism encourage participants to minimize their negative impact on ecosystems and communities. Respecting the rights and spiritual beliefs of Indigenous People while working in partnership with the community to create empowerment is one of the many goals of the movement. Sustainable travel should further provide direct financial benefits for conservation. The tenants of ecotourism are not far from those of mission trips. Missionaries travel to different locals spreading the word of God and helping the less fortunate. Part of helping local communities involves teaching them to be stewards of the land. Many third-world countries are trying to feed their people from an overworked and dying soil. Some of the degradation of these areas is due to input and abuse from the western world. Cutting down rainforests destroys the land and many resources. Indigenous people are left with no way to provide for themselves. While spreading God’s word and message of love and forgiveness, missionaries should also be helping the impoverished become stewards of the land. God wants us to tend to and nourish the land so it can prosper and bear fruit. He has provided us with the means and we have neglected it. Sustainable development programs teach individuals how to protect eh environment they inhabit. As a community becomes more sustainable, they are less likely to exploit the land and its wildlife for economic gain. When people prosper in an environmentally friendly way, they bring glory to God and his creation. Recently, a new “Assisi Award” for religious conservation was launched. 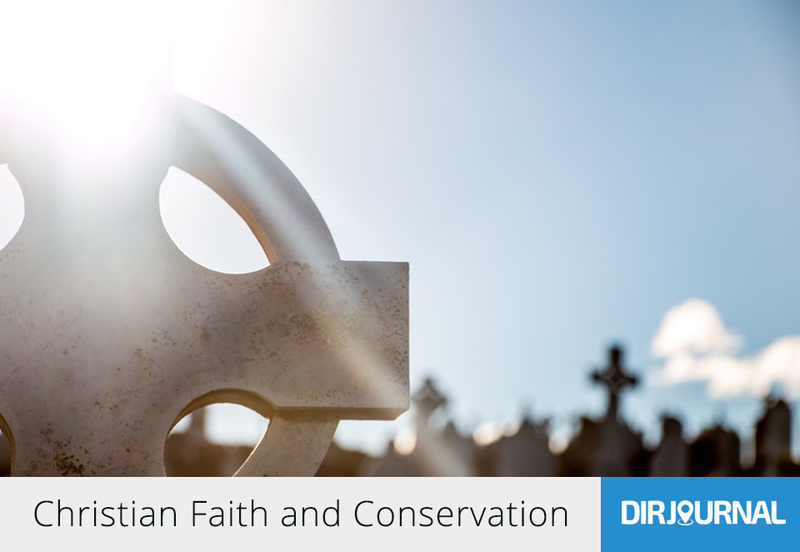 It is awarded for inspiring faith-based conservation initiatives. It is a non-monetary award that acknowledges the demonstration of outstanding success in the conservation of biological diversity based on the organization or individual’s faith and spiritual understanding. The Religion and Conservation Biology Working Group (RCBWG) introduced the award in hopes that it would increase the communication between faiths and conservation. The Alliance of Religion and Conservation was founded at an event in 1986 in Assisi after which the award is named. There is a lot going on in the worlds of Christianity and environmentalism. Christians should not take a lukewarm stance on current environmental issues. They should be on the side of the earth. There are many ways Christians can get involved in the fight for the planet. Spreading the word of God and the message of his love can be combined with the message of sustainable agriculture and responsible stewardship. Religion and environmentalism have even hit the world of academia with courses arising encouraging Christians to an environmentally responsible faith-based view of our current situation. No More Women Priests Says Vatican!